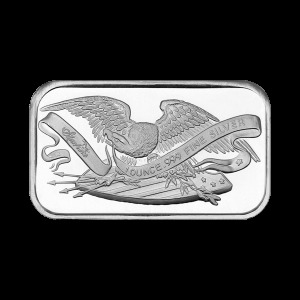 Reverso Oso polar y cachorro cruzando una llanura ártica y las palabras "Canadá 9999 Oro Fino 1/4 oz Or Pur"
Oso polar y cachorro cruzando una llanura ártica y las palabras "Canadá 9999 Oro Fino 1/4 oz Or Pur"
Moneda de Oro Oso Polar y Cachorro Canadiense 2015 de 1/4 oz You'll enjoy the lowest price on the net, when you order your ¼ oz 2015 Canadian Polar Bear and Cub gold coin from our online store. 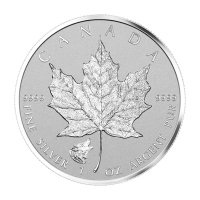 This iconic series from the Royal Canadian Mint features the resilient and beautiful creatures of Canada's Arctic region. 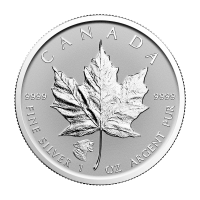 The coin's reverse features an immaculately realized relief of a Canadian Arctic polar bear mother and cub, traversing their icy landscape, each strand of fur clearly visible. 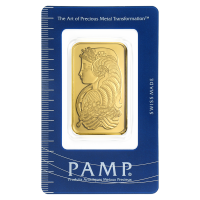 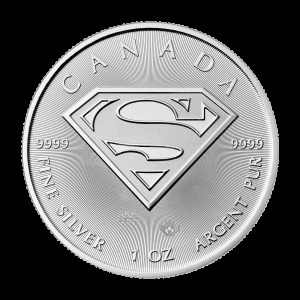 Joining this endearing vision on the reverse, the Canadian legend, as well as the coin's purity, weight and metal composition. 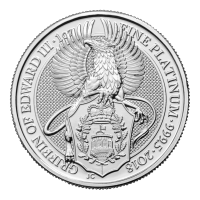 The obverse feature is a youthful and simplistic effigy of Elizabeth II in profile, wearing her beloved pearl necklace. She is joined by only an inscription of her name, the coin's face value and its year of issue. Ursus Maritimus, the 'sea bear' or 'polar bear,' is the world's largest predator and, arguably, also one of the most beautiful; sadly, the unprecedented thawing of the Arctic ice caps poses a huge risk to their ongoing survival as a species. 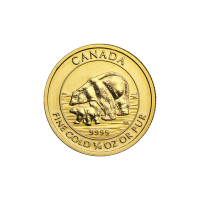 Preserve and honour this majestic Canadian beast and enrich your holdings with a ¼ oz 2015 Canadian Polar Bear and Cub gold coin today!